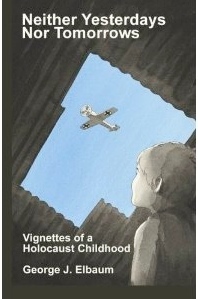 The Jewish Family and Children’s Services (JFCS) has organized an annual Day of Learning since 2003, inviting students and educators from schools throughout California to participate in numerous workshops to gain a deeper understanding of the Holocaust and patterns of genocide, and to inspire moral courage and social responsibility in the future. This year’s program included separate workshops for students and for educators, each led by a faculty member and each concluding with an eyewitness testimony by a survivor of the Holocaust or genocide. This year’s Day of Learning was held again at San Francisco’s Galileo High School, with 600 students and 100 educators participating, the students in one of 15 workshops and the educators in one of 3. My presentation was to 30 students in a workshop led by JFCS’s Stevie Greenwell. JFCS’s Penny Sevryn arranged my presentations as well as being one of the organizers of the event, and JFCS volunteer JoBeth Walt was my on-site guide, ensuring that I found the right room for my presentation and, afterwards, the tunnel to Galileo’s parking lot. with Nikki Bambauer: nice to see you again!